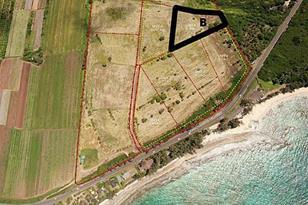 Build your dream North Shore home on prime agricultural land, just steps to Waialee Beach. Conveniently located between Turtle Bay Resort and Sunset Beach. Unobstructed ocean views, security gate, paved road access and underground utilities installed. Suitable for horses or organic crops. Virtually no neighbors - surrounded by Federal, State and preservation land. Subdivision: HOA for Waialee Subdiv. 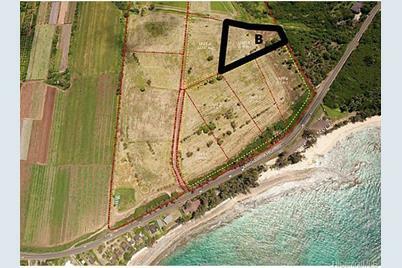 57-548 Kamehameha Highway #Unit B, Kahuku, HI 96731 (MLS# 201330077) is a Lots/Land property that was sold at $800,000 on November 15, 2013. Want to learn more about 57-548 Kamehameha Highway #Unit B? 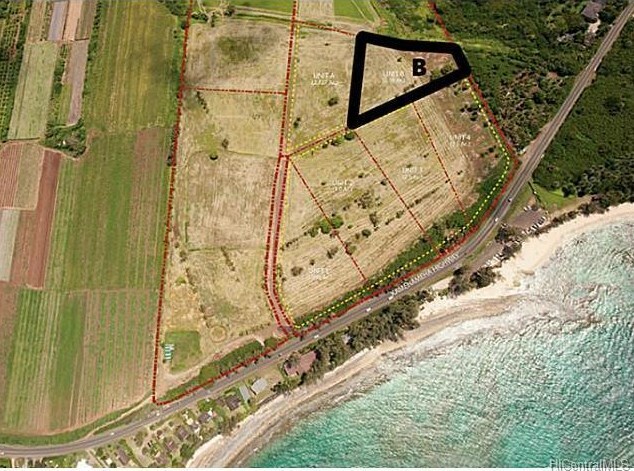 Do you have questions about finding other Lots/Land real estate for sale in Kuilima? You can browse all Kuilima real estate or contact a Coldwell Banker agent to request more information.